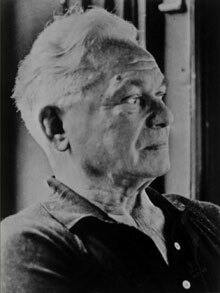 Joseph Pilates was a person, a German, interned during WWI on the Isle of Man. Whilst captive, Joseph Pilates used his time to devise a comprehensive system of physical exercise, called Contrology, which, over time, developed to become not just a series of exercises but a conceptual approach to movement. He even set up his own unique apparatus, formed from the springs of his dormitory bed! Today, we know this apparatus as The Reformer, a complex piece of equipment that will wake up your mind, even as it stretches and tones your body. After the war, Joseph Pilates dedicated his life to refining his methods, and we still use them today. The name Pilates has come to represent a form of exercise that builds the body’s core strength and improves posture. Whether you are working on a mat or with the Reformer, emphasis lies on the unity between mind and body: the mind learns to focus on the body, improving the quality of movement it performs. Programmes are designed to target specific parts of the body, in order to eliminate its weaknesses and to challenge strengths, using a series of stretching and conditioning exercise that focuses on precise movements. Pilates is for everyone, regardless of age or ability. It is for you! Pilates is a great way to increase activity and energy levels, gently, especially if you are suffering from poor mobility or injury, but also if you simply suffer aches and pains. Pilates can be used to encourage someone at a very low level of fitness, to exercise, whilst also providing a challenge to those that are already fit. Yes, is the simple answer. Pilates can improve back strength and provide pain relief to those with mechanical back pain. For the exercises to be effective, they need to be specifically tailored to the needs and goals of the individual and taught by a qualified teacher. Can I lose weight through Pilates? Yes. Pilates can be adapted for losing weight and can help you achieve a more streamlined appearance. However, specific exercises should be used in combination with diet and aerobic activity. Never! Pilates is for all ages! You are never too late to begin. Pilates has improved my flexibility and muscle tone and increased my energy levels and improved my sleeping patterns. At my age, 75, I am aware that I am more physically active than any of my contemporaries.